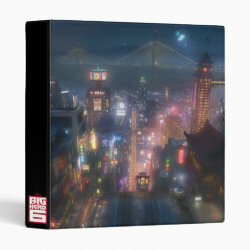 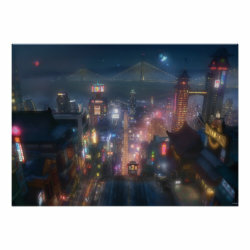 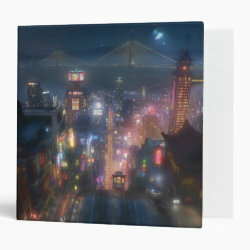 San Fransokyo is the fictional location in Disney's animated film Big Hero 6. 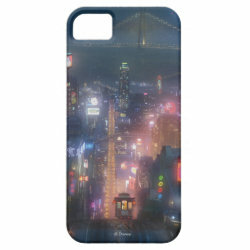 It is a mix between San Francisco and Tokyo. 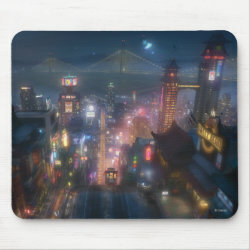 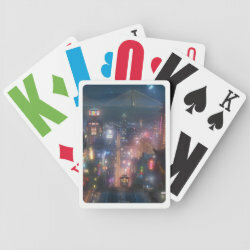 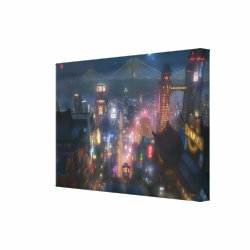 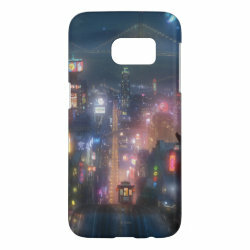 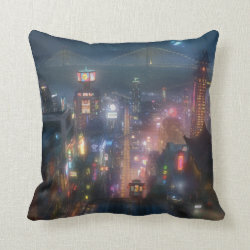 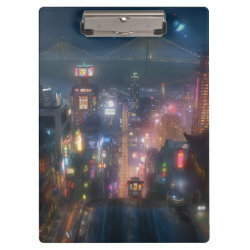 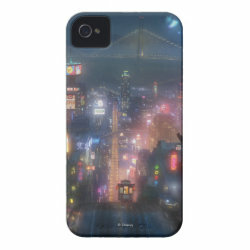 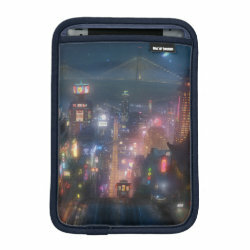 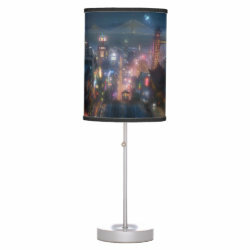 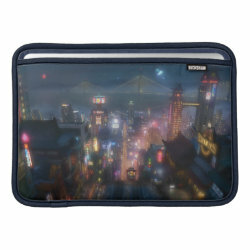 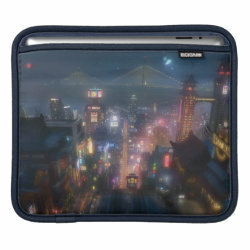 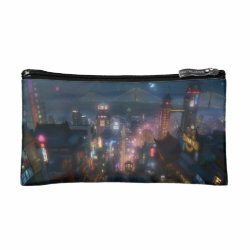 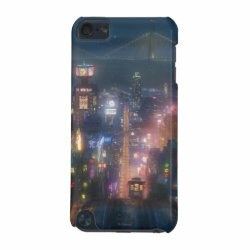 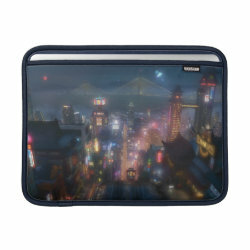 This gorgeous drawing More... shows the city at night, with all its neon lights and the bay and bridge visible in the distance. 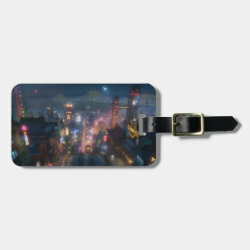 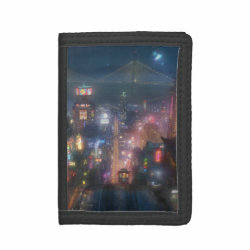 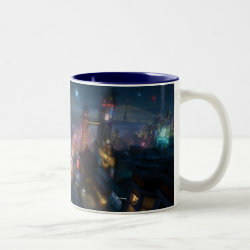 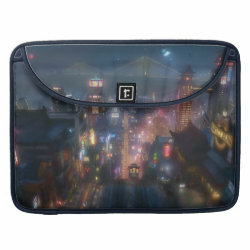 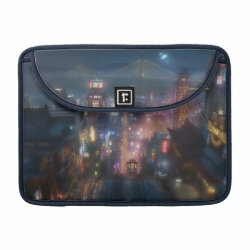 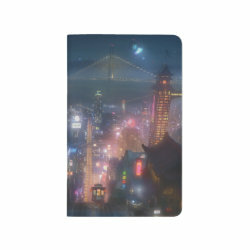 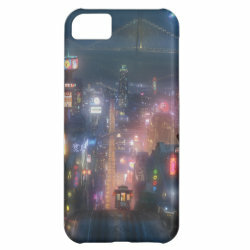 This colorful design is available from the official Disney merchandise store at Zazzle on phone cases, tablet sleeves, mugs, binders and more. 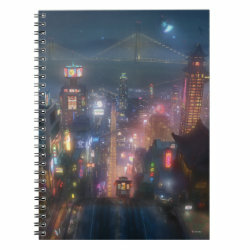 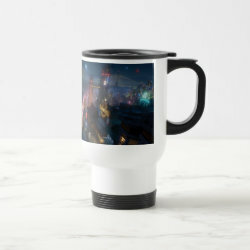 Great gifts here for fans of Big Hero Six.